We’d love your help. Let us know what’s wrong with this preview of Deceptively Beautiful by Eliza Tilton. But something is amiss between the couple, and Jeslyn fears Lucino is reverting back to his more ruthless, Reptilian nature. As the While war plagues the various lands, Daath is preparing for the grandest celebration in its history. Lucino and Jeslyn will marry, uniting their people and erasing the scars left from the battle of the valley and the destruction of the temple. To ask other readers questions about Deceptively Beautiful, please sign up. 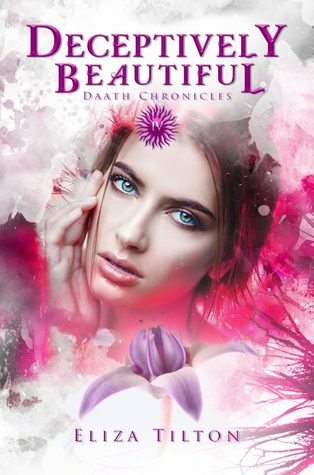 Deceptively Beautiful was an unexpected surprise, as I thought the series was already concluded after the third book. While it is brought forward as book 4, it is more of a novella though. It takes place around the wedding of the main characters. It's been a while since I read the other books, but while it was a quick and nice read, I was wondering what it ultimately adds to the series. I would recommend it to fans, but for the story, it is not that important. USA Today Bestselling author, Eliza Titlton graduated from Dowling College with a BA in Visual Communications. When she’s not arguing with excel at her day job, chasing after four kids, playing video games, or writing, she's getting her post-baby body back and inspiring people on the way. Her YA Fantasy, The Daath Chronicles, is published by Curiosity Quills Press.